Avoid computer nightmares with friendly, fast, professional support. 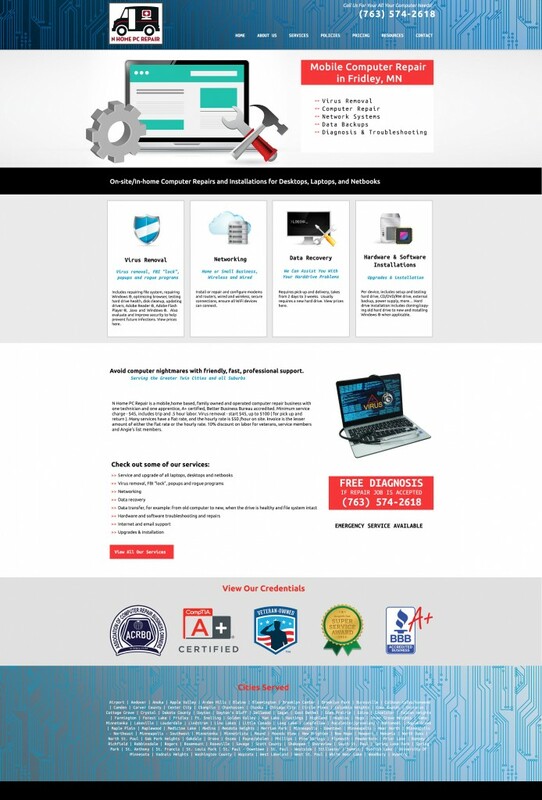 N Home PC Repair is a mobile,home based, family owned and operated computer repair business with one technician and one apprentice, A+ certified, Better Business Bureau accredited. Minimum service charge – $45, includes trip and .5 hour labor. Virus removal – start $45, up to $100 ( for pick up and return ). Many services have a flat rate, and the hourly rate is $50 /hour on site. Invoice is the lesser amount of either the flat rate or the hourly rate. 10% discount on labor for veterans, service members and Angie’s list members.